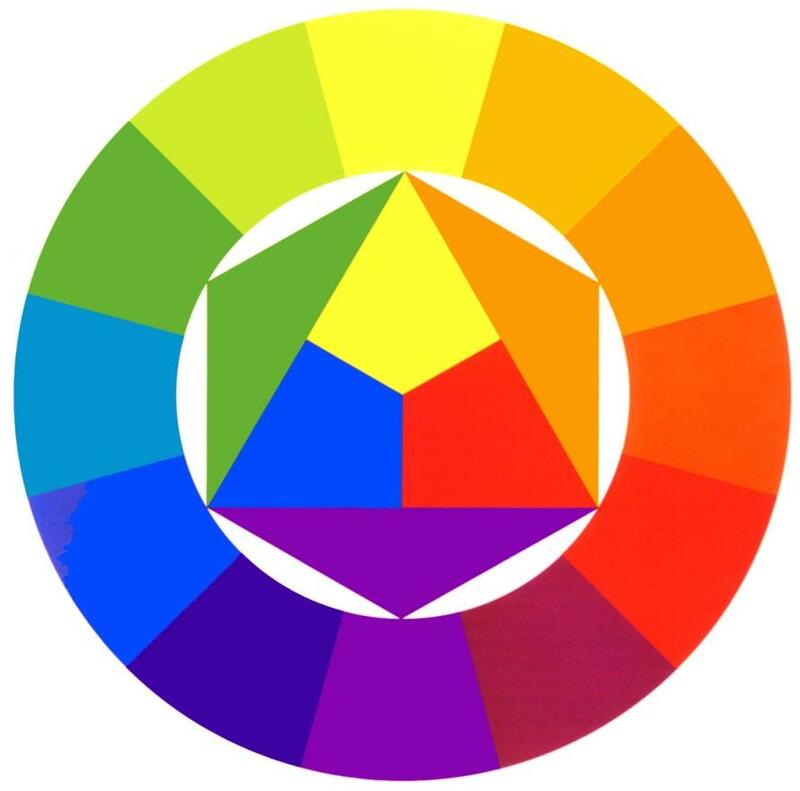 Download "An Introduction to the Color Wheel and Color Theory By The Art Specialists Oshkosh Area School District"
6 Secondary Colors The secondary colors are orange, green, and purple. Secondary colors are made from mixing the primary colors. 7 Intermediate Colors Mixing primary and secondary colors create intermediate colors. 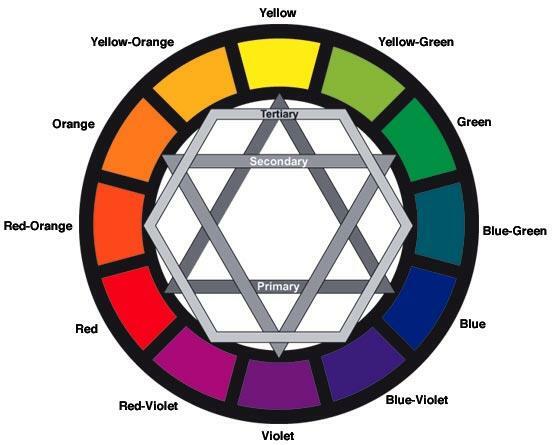 Intermediate colors include: 1) Red-Violet 2) Blue-Violet 3) Blue-Green 4) Yellow Green 5) Red-Orange 6) Yellow-Orange On the color wheel, the intermediate colors are located between the primary and secondary colors that create them. 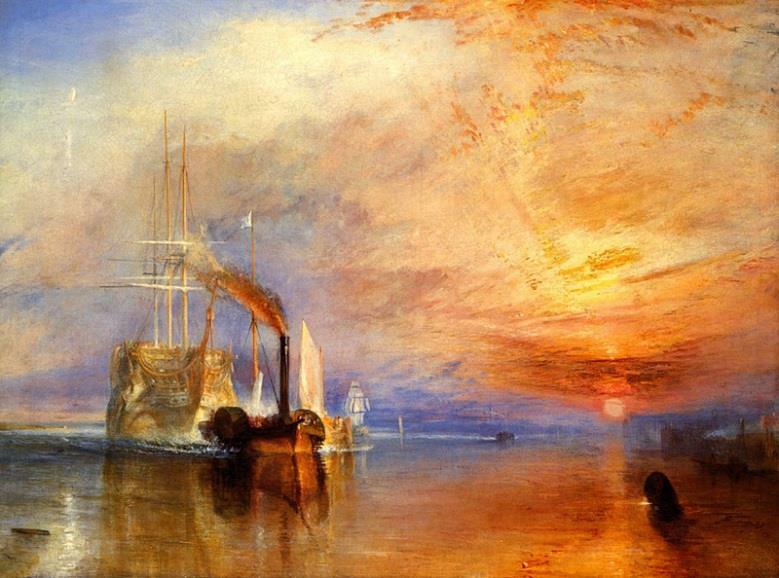 9 Warm Colors The Fighting Temeraire by William Turner In The Fighting Temeraire by William Turner, the warm colors of the sunset give a feeling of brightness and heat. Look at the red spreading from the setting sun and the deep golden glow on the water. If you're feeling cold, looking at colors like these can actually make you feel warmer! 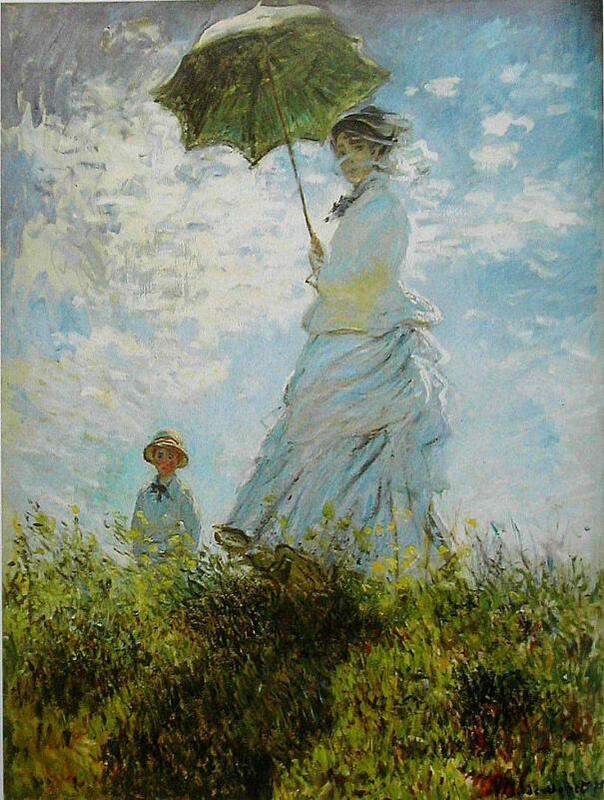 11 Cool Colors The Walk, Lady with a Parasol by Claude Monet In this painting by Claude Monet, The Walk, Lady with a Parasol, the cool colors of the ground and sky contributes to the peaceful feeling of the painting. Imagine how different the painting would look with a bright red sky it might seem more exciting or energetic than restful. 12 Neutrals Neutrals don't usually show up on the color wheel. Neutrals include black, white, gray, and sometimes brown and beige. They are sometimes called earth tones. There are a few different ways to make neutrals. You can blend black and white to make gray. You can create brown in two ways by blending two complementary colors together or by blending all three primary colors together. Snow in New York by Robert Henri In Snow in New York, Robert Henri uses many different neutrals. You can see a few glimpses of red paint, but the overall effect is of natural browns, whites and grays--like those you might see in rocks, sand, dirt, or clay. 17 COLOR MIXING Value, Tints, & Shades The lightness or darkness of a color is called its value. Tints are light values that are made by mixing a color with white. For example, pink is a tint of red (red+white), and gray is a tint of black (black+white). Shades are dark values that are made by mixing a color with black. Maroon is a shade of red, and navy is a shade of blue. 18 Monochromatic Colors A monochromatic scheme consists of different values (tints and shades) of a single color. An example of a monochrome color scheme could include any color mixed with white or black. 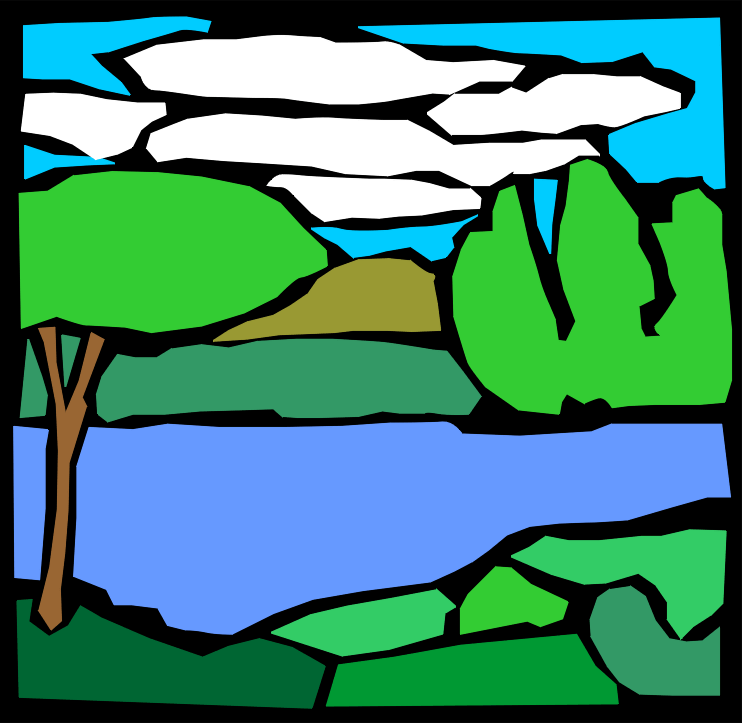 The example above is a green monochromatic color scheme. A shade of green is made by mixing green and black. A tint of green is made by mixing green and white. 20 Analogous Colors Sunflowers By Vincent Van Gogh Orange, yellow-orange, and yellow are also examples of analogous colors. They are blended nicely in Sunflowers, a painting by Vincent Van Gogh. How do you know that these colors are closely related? They share a color each of them contains some yellow. 22 Complementary Colors Carnation, Lily, Lily, Rose by John Singer Sargent Red and green are an example of complementary colors. Look at the painting Carnation, Lily, Lily, Rose by John Singer Sargent. The reddish-pink color of the flowers really stands out against the green background. Imagine if Sargent had painted all yellow or blue flowers instead. They would just blend in with the green (ho-hum). 23 Split-Complement Color Scheme A split-compliment color scheme includes a main color and the two colors on each side of its complementary (opposite) color on the color wheel. An example of a splitcompliment color scheme could be green, violet-red, and redorange. 24 Double Split-Complement Color Scheme A double split-complement (also called tetradic) uses two pairs of complements, one space apart on the color wheel. An example is red, green, orange, and blue. 25 Triadic Color Scheme A triadic color scheme uses colors at the points of an equilateral triangle (three colors spaced equally on the color wheel). These are sometimes called balanced colors. An example of a triadic color scheme could be red, blue, and yellow; green, orange, and purple, etc. 26 Advanced Color Theory Color An element of art which has three properties. 1) Hue, which is the name of a color. For example, red, yellow, blue are hues. 2) Intensity, which refers to the brightness and purity of a color. For example, bright red or dull red. 3) Value, which refers to the lightness or darkness of a color. 27 Hue Hue refers to the name of a color. For example red, blue, yellow, green, blue, and purple are hues. 29 Value Here is an example of a value scale that has values ranging from the darkest dark, to the whitest white. Value is the lightness or darkness of a color. You can obtain different values by adding black or white to a color. A light color is called a tint of the original hue. For example, pink is a tint of red. To make a color darker in value, black is added. A dark color is called a shade of the original hue. Maroon is a shade of red. 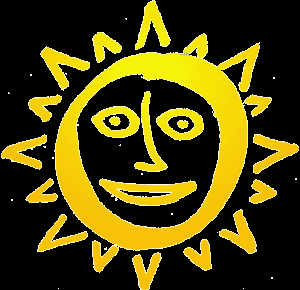 39 Web Links Clickable Color Wheel Basic Color Schemes Color Wheel Carmine s Introduction to Color This site uses fun rhymes to explain what primary, secondary, and intermediate colors are. Mix colors before moving to another page and complete a quiz on color wheels. Sanford's ArtEdventures with Carmine Chameleon During this online adventure kids can learn about the color wheel, primary, secondary, and intermediate colors. Students also can find out what colors create these secondary and tertiary colors. Includes interactive game for mixing colors online. Color Factory Visit the online color factory for fun activities. Select the "Sorting Sector" and practice your knowledge of the color wheel by selecting and placing right colors into the circle. Go to the "Mixing Room" and create secondary and intermediate colors using online mixing machine then go to the "Messy Area" to paint pictures. Make a Splash with Color Learn about color. Find out why and how we see colors. Discover how hue, saturation, and brightness effect an image. Click on the "Combining All Three" link to go to the part of the site with interactive color wheel for practicing use of hue and saturation. The Science of Light: Made from Dots Read how cyan, magenta, and yellow colored dots are mixed together to produce images on paper. Click on the "Go" link and use three swatches to mix and match colors. The World of Color Here are interactive applets that demonstrate how colors interact, mix with each other, and affect images. Additive Color Learn what color addition is and how it works. Use spotlights to practice mixing colors. Subtractive Color Find out how color subtraction works and mix some colors.